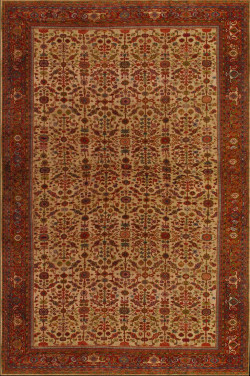 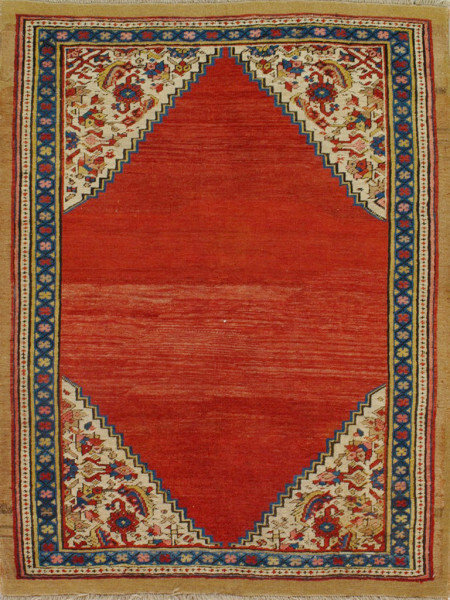 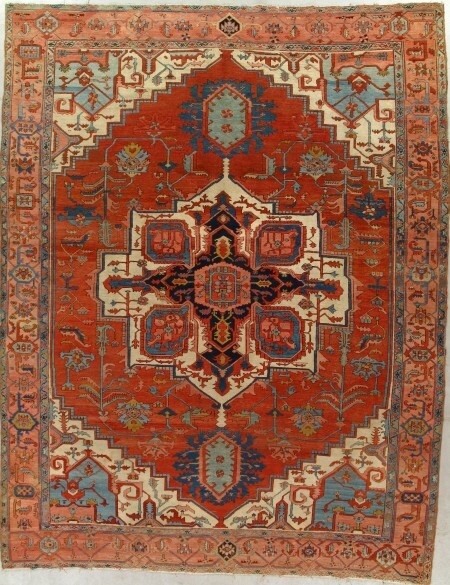 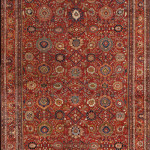 This village carpet from the Heriz district has a pale blue field neatly filled with an overall “herati” repeat. 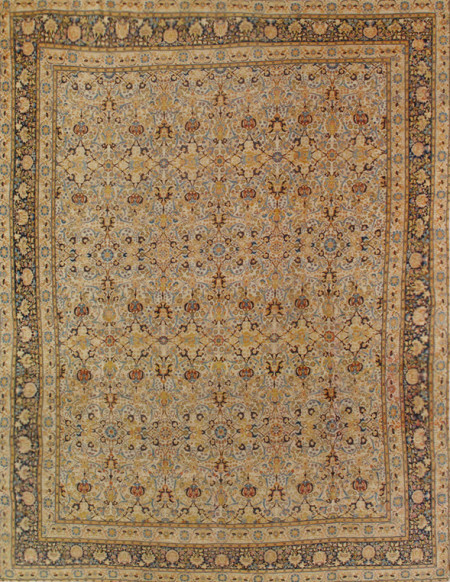 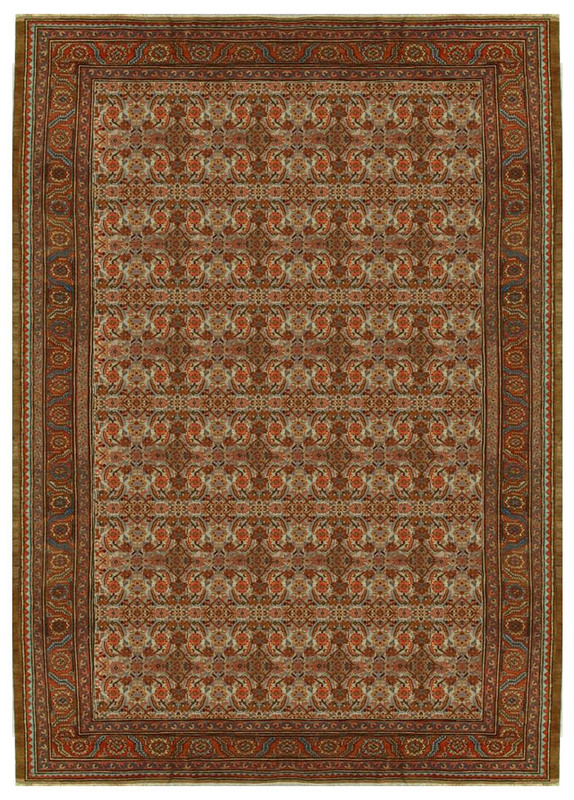 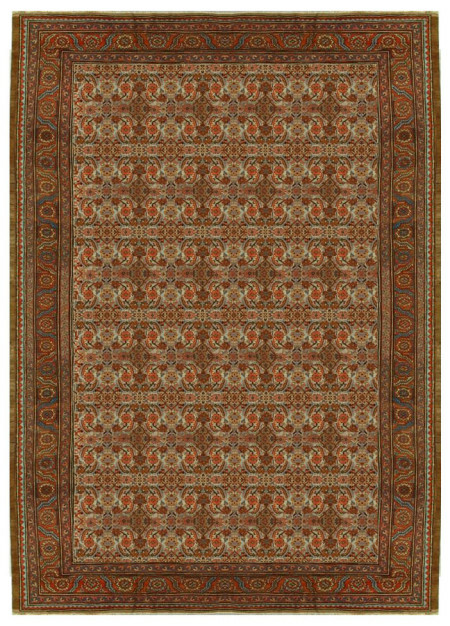 The rust border of bent leaves and rosettes is classic for this carpet type. 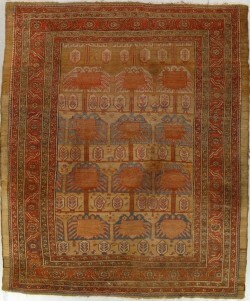 A plain camel tone outer border frames the whole.